The crashed Super Puma CHC helicopter. 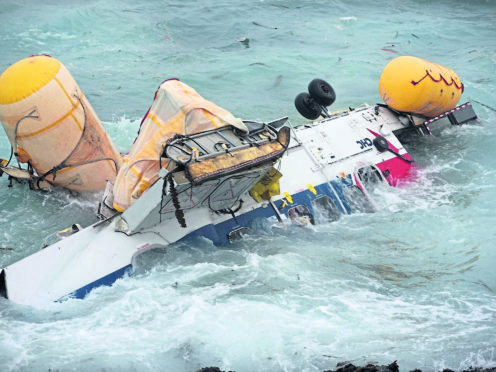 An MP has condemned as “unacceptable” the delay as victims’ families await answers about a fatal helicopter crash in Shetland more than five years ago. Speaking at a House of Commons debate yesterday, Mr Carmichael said families were being denied closure. Should an FAI take place, which Mr Carmichael said is “all but certain”, the Scottish Sheriff presiding over it would be able make recommendations on whether a public inquiry is needed.